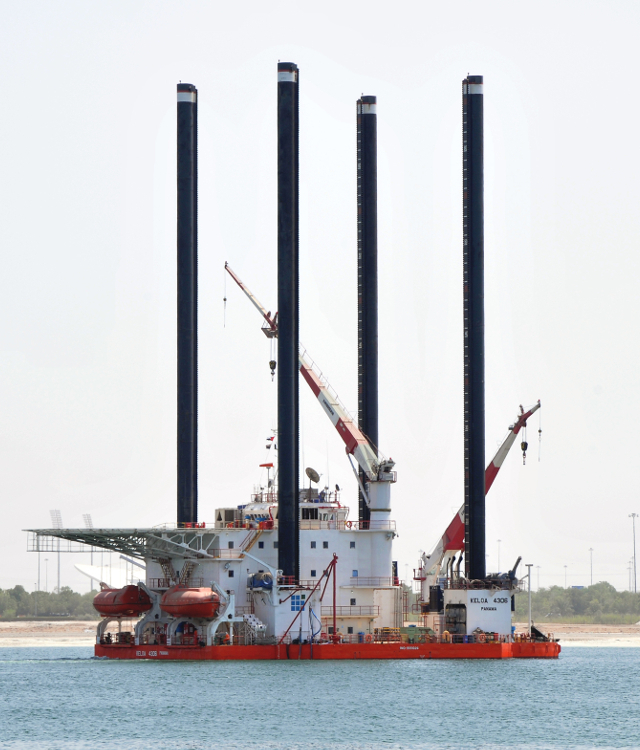 Chesterfield ship equipment and offshore installations manufactures Cathelco are supplying marine growth prevention systems (MGPS) for four jackup barges owned by Gulf Marine Services, the largest operator of self-propelled, self-elevating support vessels in the world. The systems will protect the barges against blockages in pipework caused by the growth of barnacles and mussels which can impair the efficiency of engine cooling systems and ancillary equipment. The systems will be installed over the coming months when the Kikuyu, Kawawa, Kudeta and Keloareturn to the GMS yard in Abu Dhabi for scheduled maintenance work. The order was obtained by Cathelco Middle East who are based in Sharjah and provide sales and technical support throughout the region. Cathelco will be supplying two types of MGPS systems for each of the vessels, one to provide protection when they are in transit with their hulls floating on the water and the other for when the platforms are in the elevated position. The seachest installations, protecting the vessel in transit, will consist of two pairs of copper and aluminium anodes connected to a control panel, whilst in the elevated position copper anodes will be used protect the submersible pumps. In operation, the copper anode produces ions which flow through the pipework and create an environment where mussel and barnacle larvae do not settle or grow. At the same time, the aluminium ions produce an anti-corrosive layer on the internal surfaces of pipes. The concentrations of copper are extremely small, but effective in preventing blockages caused by bio-fouling. As a result, the system is environmentally benign and does not harm the wider marine habitat. Cathelco manufacture MGPS equipment and hold a record of over 50,000 installations during a period of more than 60 years. Their systems are used on offshore platforms and jackup rigs in locations from the Middle East to the Russian Arctic as well as numerous types of commercial ships including offshore supply vessels.